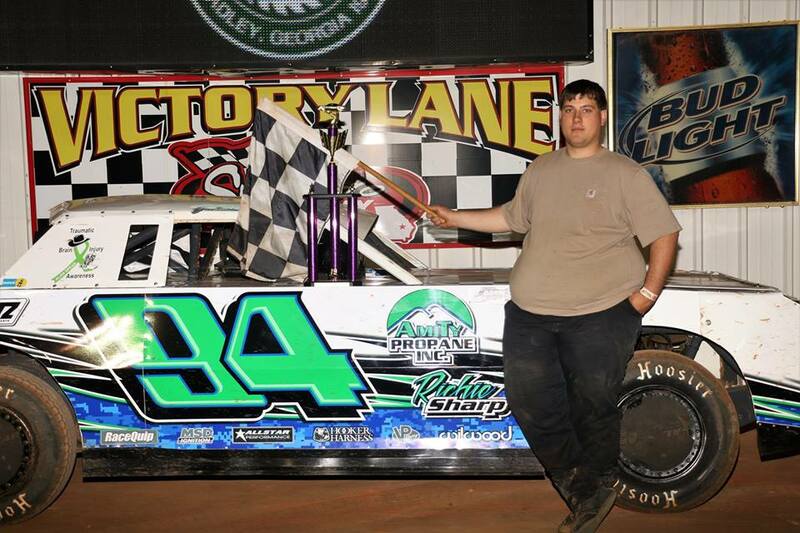 Middle GA Late Models Visit Swainsboro Raceway! 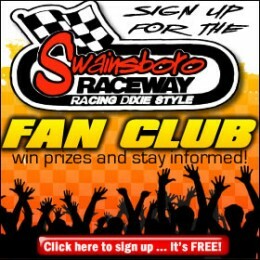 By admin Comments Off on Middle GA Late Models Visit Swainsboro Raceway! 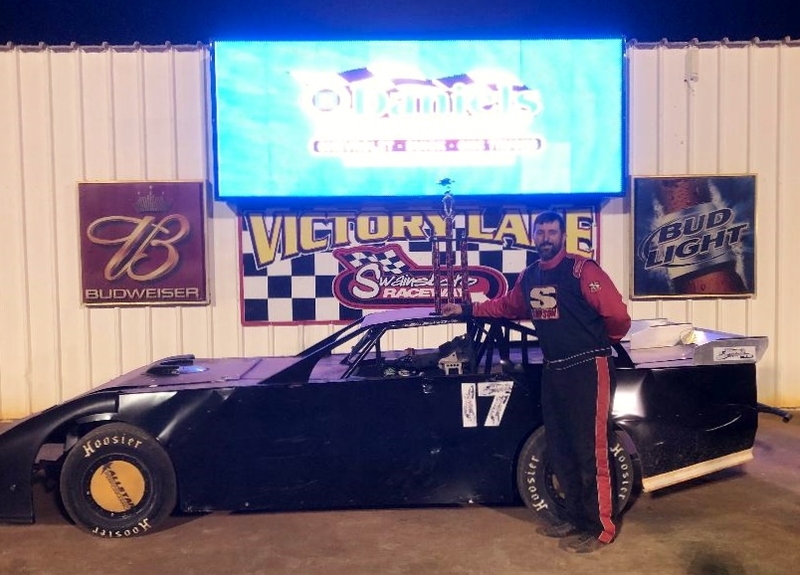 Saturday night racing action began with a packed house at Swainsboro Raceway as the Middle GA Late Models visited the 3/8 mile oval for the first time in over 10 years. Over 100 cars lined the fields ready for action in seven divisions. In the Sunoco Super Street division, Jamie Whitaker led the field to green inside Tommy Clinard. Whitaker quickly took the lead off turn two but Clinard peaks to the inside. Dusty Collins, Monk Gulledge, and Jimmy Maness battle three wide for fifth. Lap 3, Gulledge takes to the inside of Collins in two but Collins regains off four. Lap 4, Jamey Donaldson knocks on the rear of Clinard for second as Whitaker inches away in first. Halfway, Collins broke losing the top five spot. Five to go, Gulledge and Bobby Oglesby continuously swap position for fourth. Jamie Whitaker takes the checkered, Tommy Clinard holds on to second, Jamey Donaldson third, Monk Gulledge fourth, and Bobby Oglesby fifth. Up next, Tyler Sanders pulls to an early lead over George Williamson in the Roger Wheeler Construction Road Warrior division. Coming off turn four, Kip Poole, Derrick Screws, and Jaime Foskey fought three wide for fourth. Lap 2, Dustin Watkins gets underneath Williamson to try for second but unable to complete the pass. As Sanders led the way, second through fifth battled side by side for position. Lap 4, Watkins moves into second. Halfway, Justin Williams forced to pit losing fourth and George Williamson pits in third. Five to go, Kip Poole takes hard left turn to the pits in fourth. Jaime Foskey moved into the third position and two to go tries Watkins for second. 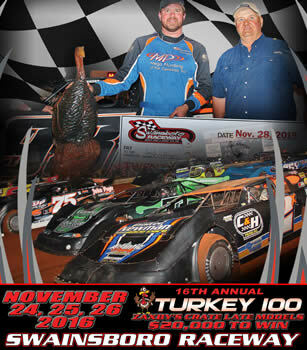 Tyler Sanders returns to victory lane, Dustin Watkins second, Jaime Foskey third, Robbie Bland fourth, and John Lariscey fifth. Brad Amerson earned the heat race win in the Sharp Mini Late Model division and takes the lead at the green. Mike Wolfe, Thomas Cooler, and Jody Sparks three wide for second. Lap 5, Rene Chamser works the outside trying for fourth. Halfway, Wolfe closed the gap on Amerson to battle for the lead. Five to go, Chamser takes over fourth. Thomas Cooler slips off two and allows Chamser to third. Two to go, Wolfe gets inside Amerson to take the lead in turn three. Mike Wolfe takes the win, Brad Amerson second, coming to the checkered Chamser sideways in two loses third to Jody Sparks, and Ricky Woodward picks up fifth. After hot lap qualifying and heat races, Cody Overton and Austin Scarboro led the Southland Insurance 602 Late Model division to the flag. Overton quickly gases it to turn one for the lead as Tyler Mimbs sneaks in for second. With only one caution, Overton seals the deal and checks out nearly two second over second place Tyler Mimbs. Mimbs made several hard runs in the corners to close the gap but Overton out powered the straight away. 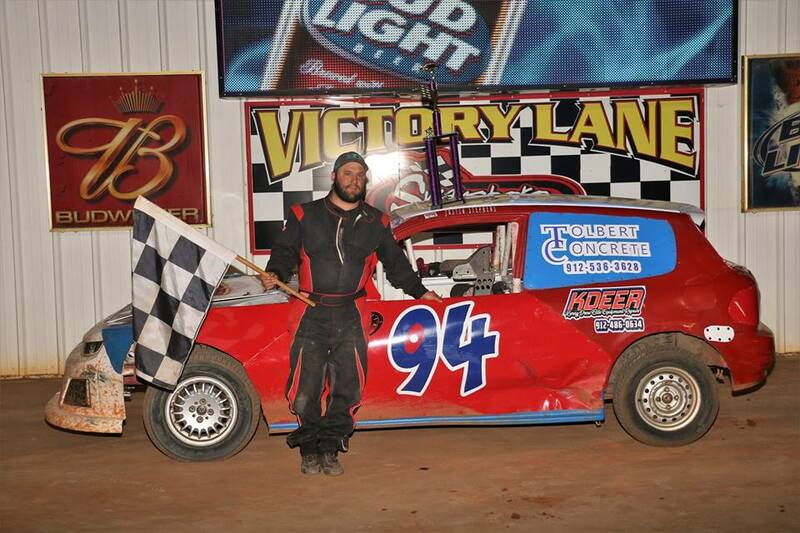 Cody Overton picks up another win, Tyler Mimbs earns second, Austin Scarboro third, Ricky McClain fourth, and Terry Lumley fifth. 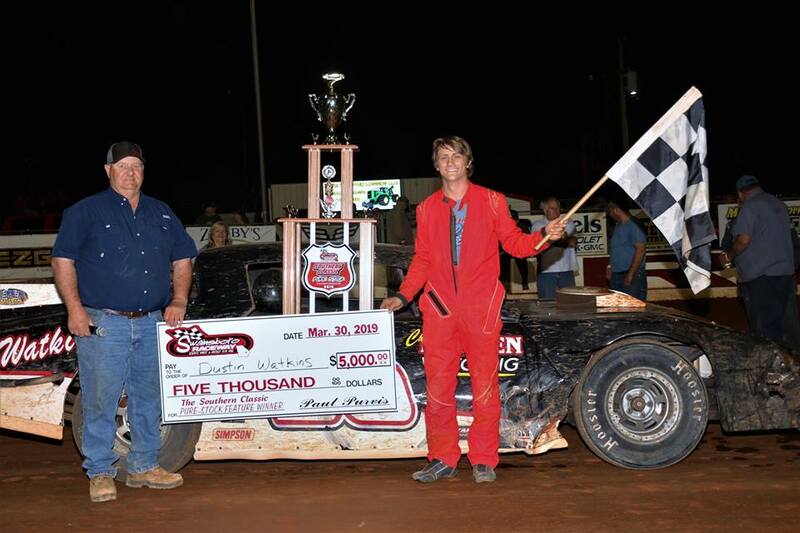 Thirty laps, $2000 to win the Middle GA Late Models took over Swainsboro Raceway with 19 drivers running 525, 604, CLM engines. Drivers treated fans with a four-wide tribute to legendary National Late Model series director Ray Miller. 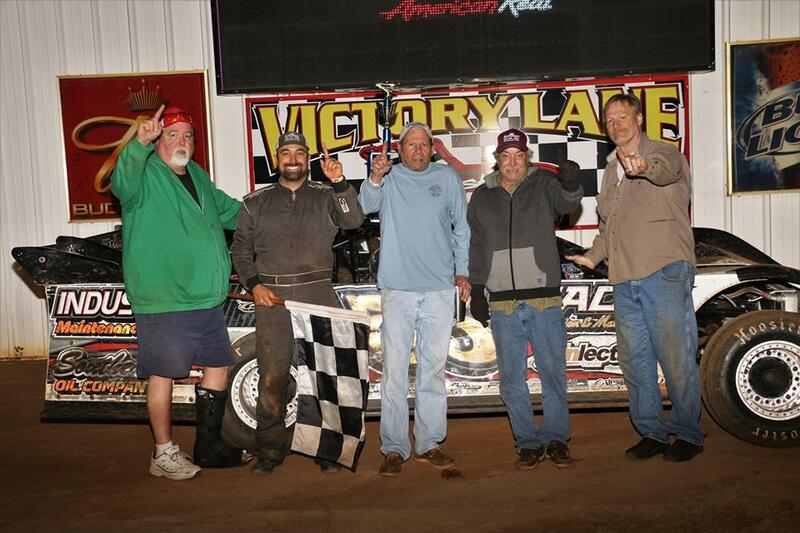 Fans stood to their feet in memory of dirt track legend Ray Miller. 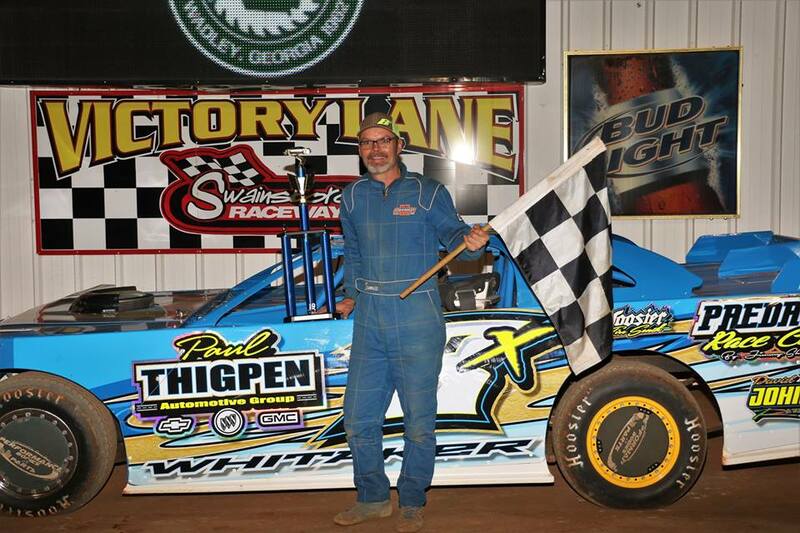 Mark Whitener picked up the fastest qualifying time over Swainsboro birthday boy Jeremy Faircloth. Mark Whitener pulls to an early lead. Lap 2, Chesley Dixon sneaks down low to take over fourth but Jim Rogers stays in hot pursuit. Lap 7, Whitener already working through lapped traffic. As Whitener stretches out, the first caution falls on lap 21 sending the field double file. On the restart, Chesley Dixon gets a run on the outside to take second from Faircloth. Finding the high line, Jordy Nipper rolls up top riding the rail on the outside picking up several positions. Mark Whitener earns the payday, Chesley Dixon second, Jeremy Faircloth third, John Baker fourth, and Will Herrington fifth. In the Daniels Chevrolet Pure Stock division, Kip Poole and Derrick Screws come off four side by side. Poole pulls to the lead with Dustin Watkins grabbing the second position. George Williamson and Alex Sturkie move in to battle Screws for third. Lap 2, Sturkie takes fourth but slips after a restart on lap 4 letting Screws and Brent Herndon make the pass. Five to go, Sturkie is forced to pit with a flat. Poole continues to lead as Luke Scott and Roger McKenzie battle for fifth. 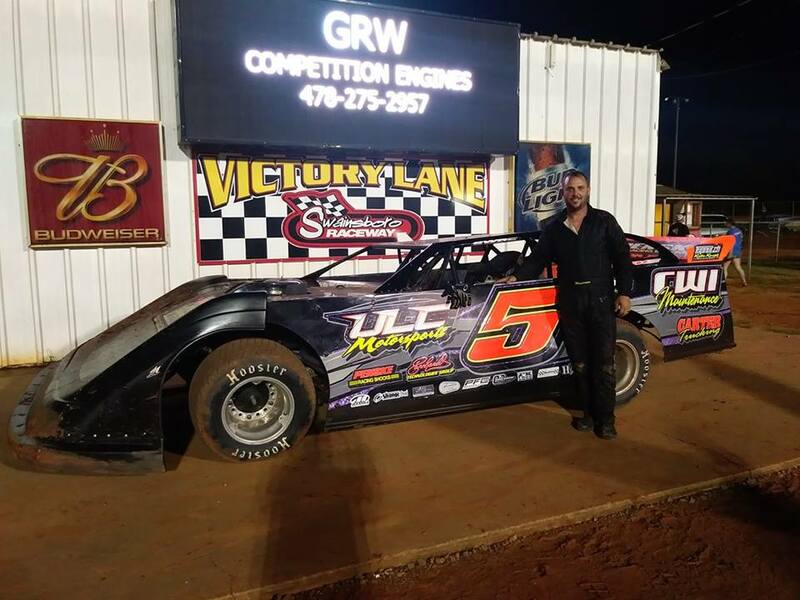 Kip Poole sits in Victory Lane once again, Dustin Watkins earns second place, George Williamson third, Brent Herndon fourth, and Roger McKenzie fifth. Rolling out last 18 Scare House of the South 440 drivers took the green with reigning points champion Rod Morris inside and current points leader Tyler Davis outside. Morris takes the lead with Davis in second. Outside Andrew Smith moves from twelfth to third quickly. Reid Christensen finds the outside lane to move into the top five from thirteenth. Cody Atkinson takes fifth outside Tommy Davis. Andrew Smith quickly takes the lead. Two to go, Christensen works on Tyler Davis for third but Davis shuts the door off the turns. Coming off two to the checkered, Smith off the pace. Rod Morris takes the checkered, Tyler Davis earns second, Reid Christensen third, Andrew Smith fourth, and Cody Atkinson fifth.